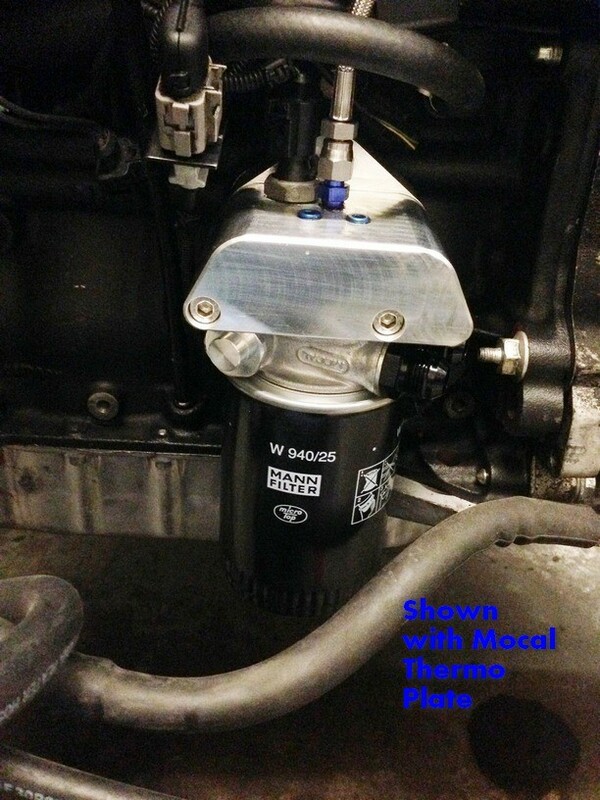 The Schimmel Performance 24V VR6 Oil Filter Housing is the best upgrade available to protect the investment under your hood. 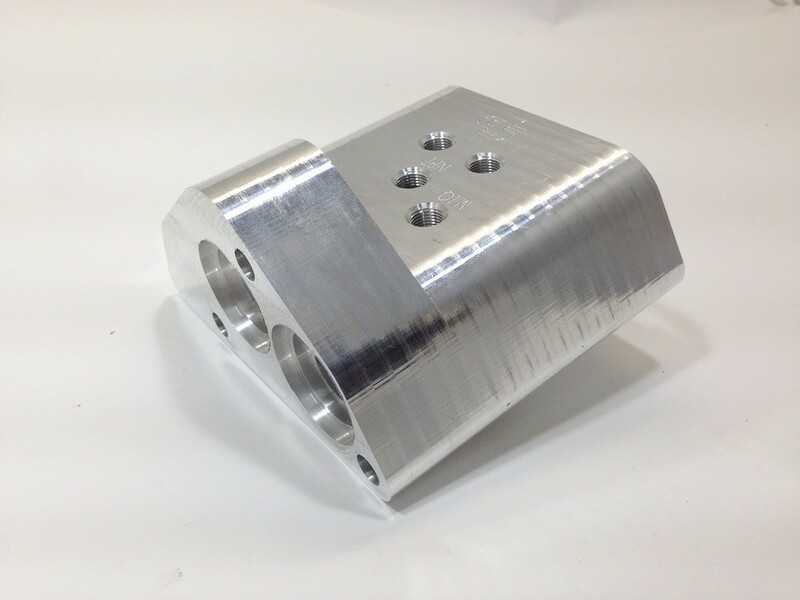 This port and machining artistry starts out as a 6lb billet block of 6061 T6 alloy. 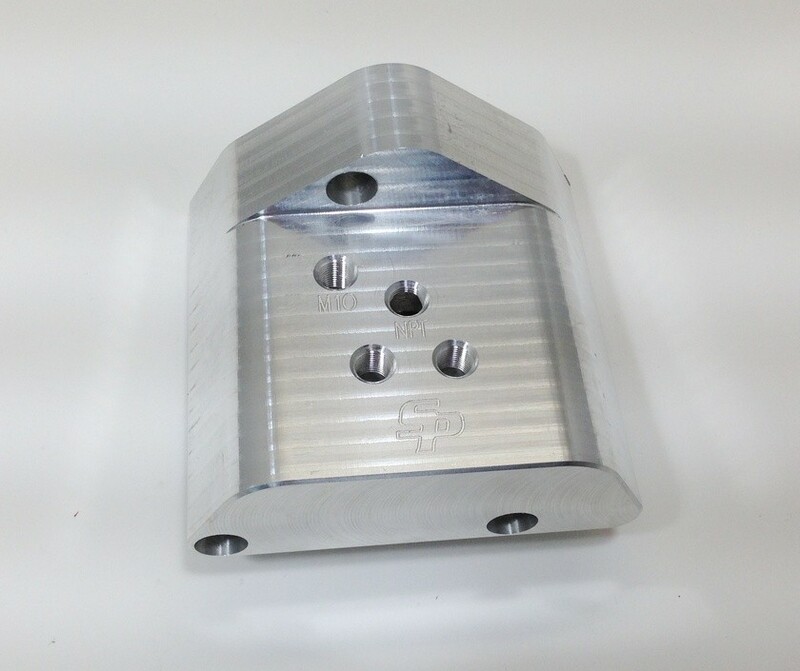 After many hours of machining it is reduced to 2.25lb of perfected vr6 candy. 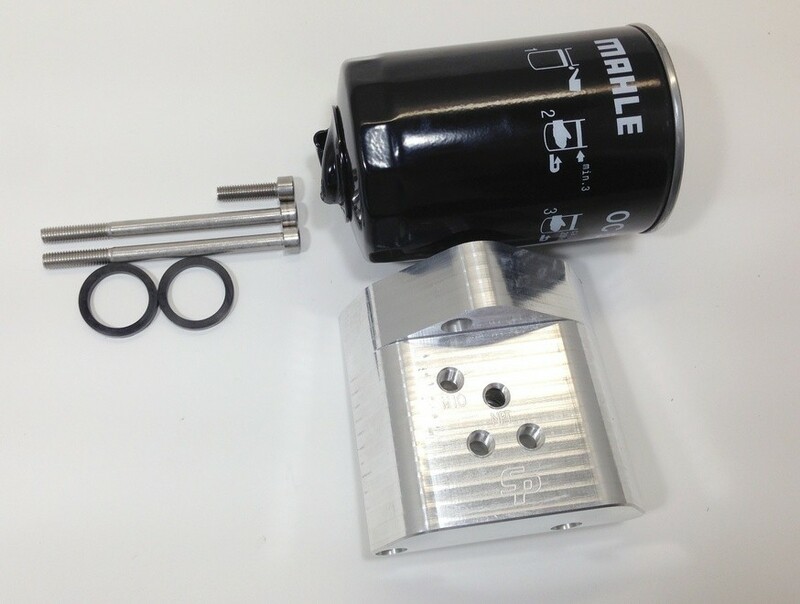 It’s designed to be used with the most common spin on oil filter thread 3/4-16”, allowing you to choose from over 20 different brands spin on filters including Bosch, Amsoil, Mobil1, Fram, Wix, and even high end reusable filters. 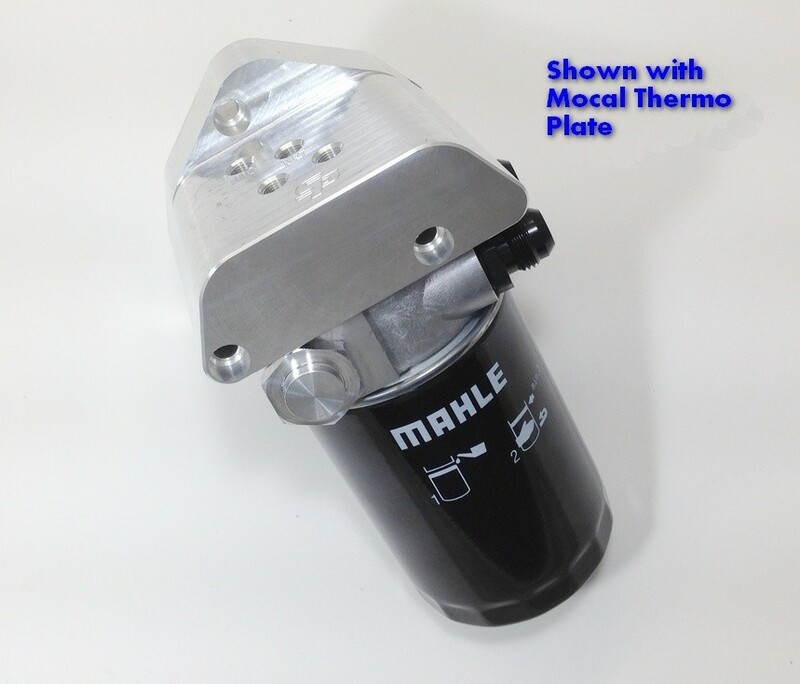 The oil filter housing comes with one high quality Mahle oil filter. 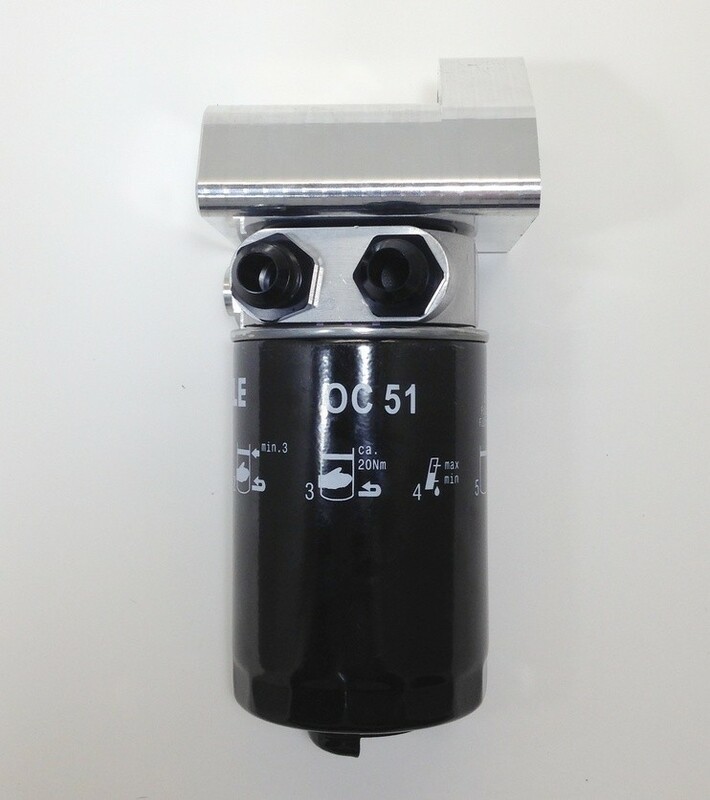 The 24V VR6 oem canister oil filter housing has a restrictive plastic check valve that is prone to failure resulting in engine damage. 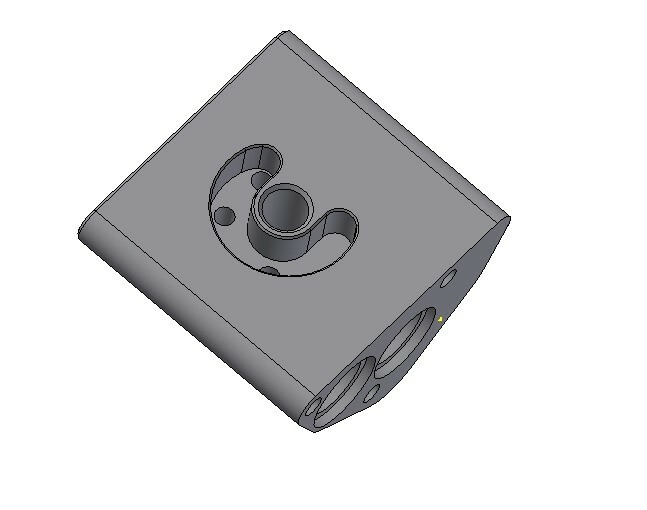 This billet oil filter housing has qty 3- (1/8”ntp) ports. 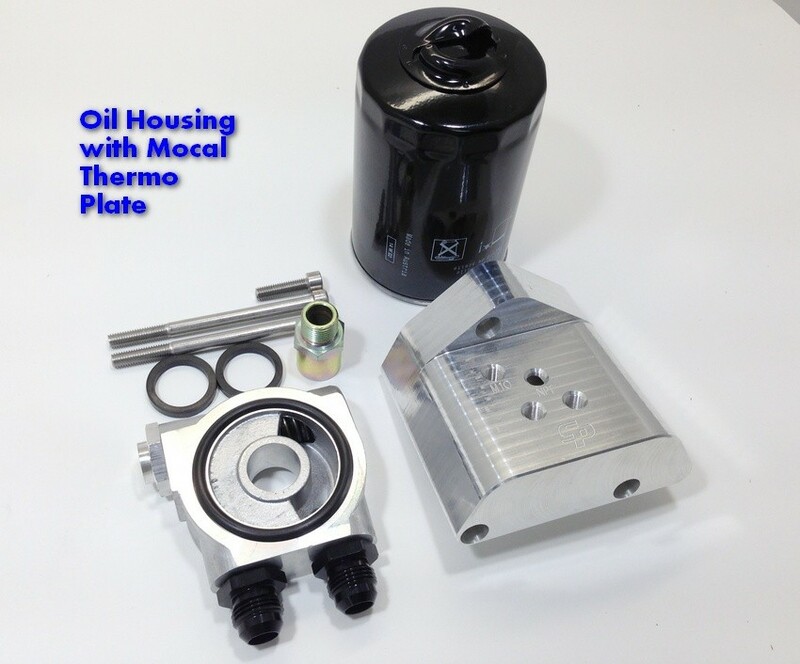 One port is clean oil port To feed your turbo with fresh filtered oil and get proper oil pressure sample after the oil filter. 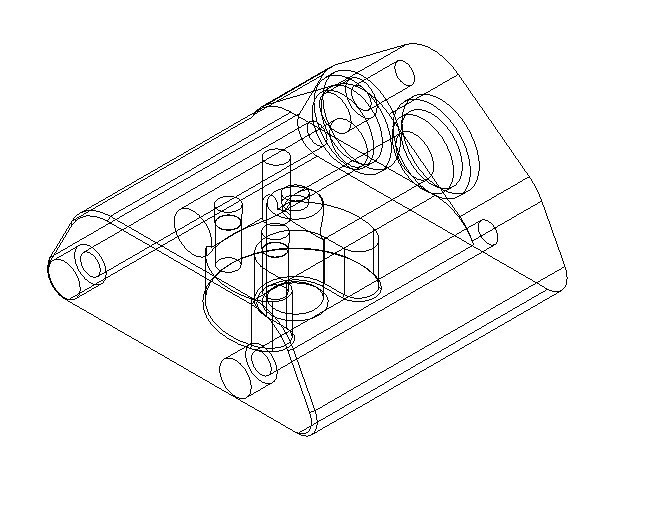 The OEM oil filter housing has two ports. These ports are unfiltered oil from pan and are before the filter. 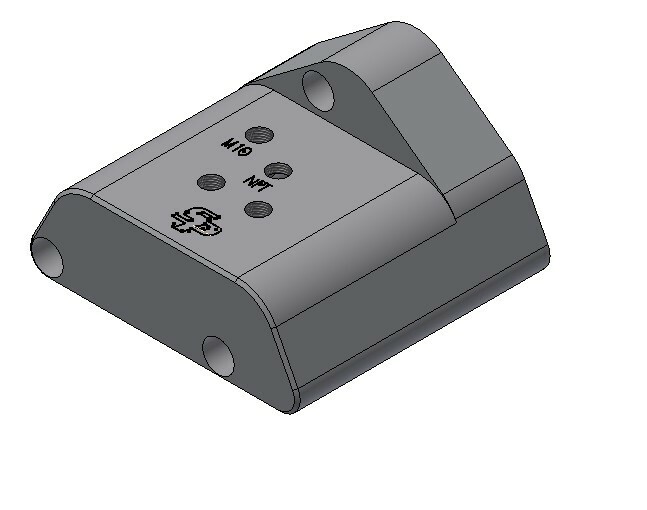 If using any of the ports for turbo oil feed you are sending dirty oil to your turbo bearings which will drastically reduce its life and performance. 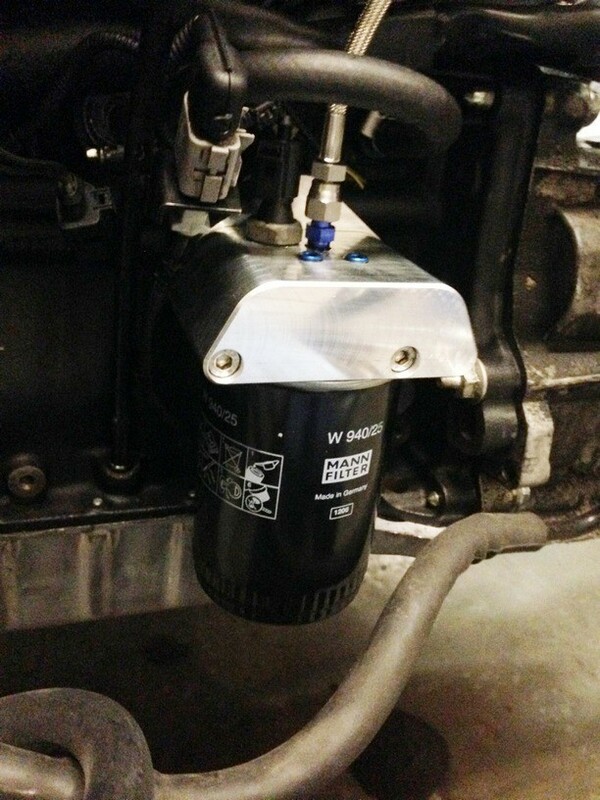 Not only does the SP oil filter housing protect your engine, it makes changing your oil a much simpler task. 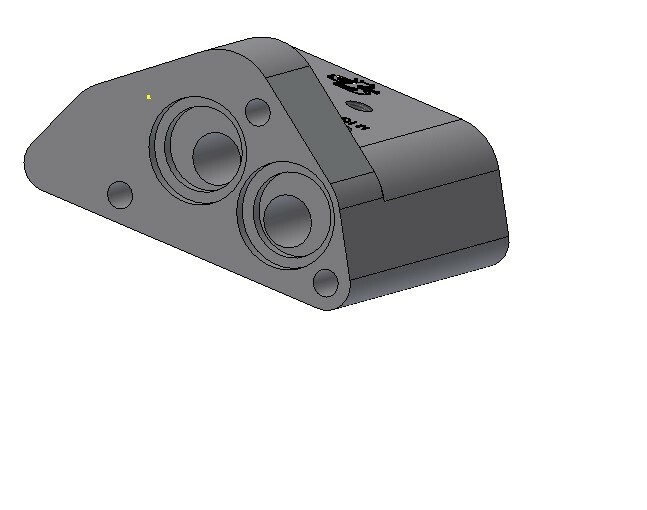 No longer do you have to handle changing out the cartridge, worry about contamination of the oil filter housing, depositing lint or transfer from whatever rag or paper is used to wipe out the housing, or thinking you have cross threaded the cheap plastic filter housing since they don't fit all that well. 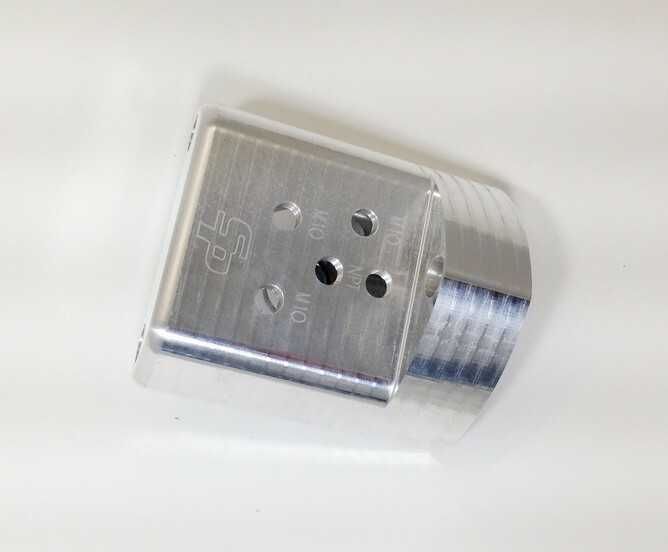 Schimmel Performance’s VR6 spin-on oil filter adapter makes oil changes quick and easy.